Today is May 4th, and in many Ballparks in galaxies both near and far, far away, teams will be celebrating in blockbuster ways in honor of a little science fiction franchise that first hit the global scene before most of the current professional ballplayers were even born. That science fiction franchise was Star Wars and for those who may not be aware, May 4th is known as Star Wars Day due to a pun surrounding a popular phrase found in the films. 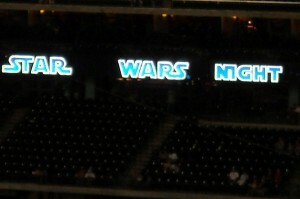 The link between Star Wars and baseball has lasted for many years. Today, one Star Wars Day the tradition continues as several Minor League Baseball teams will wear special Star Wars themed jerseys. For years baseball teams have celebrated May 4th in the Ballpark but how many times can you really dust off that storm trooper costume to throw out the first pitch before it gets a feeling of been there done that? With teams looking for creative and new ways to celebrate Star Wars Day it was only a matter of time then until May the Fourth was celebrated on a Minor League Baseball diamond in the form of players wearing Star Wars themed jerseys. Two years ago the Wookie awakening occurred when the Detroit Tigers’ Triple-A Affiliate, the Toledo Mud Hens, celebrated both May the Fourth, and May the Fifth, wearing jerseys that looked like a Wookie complete with utility belt. Not to be outdone the Kane County Cougars, the Chicago Cubs Class A affiliate, went Wookie wild last year with a double dose of furry jerseys on May 2 and an encore on August 30. While players dressing up as Wookie is a fairly new Ballpark trend it is not the first time that a Wookie, or at least an actor who played a Wookie, has been at a Minor League Ballpark. Even the players on the Jumbotron get a Star Wars treatment as was the case when the St. Louis Cardinals visited Minute Maid Park a few years back. During a May 1, 2010 game between the Oklahoma City Red Hawks and the New Orleans Zephers Peter Mayhew, the actor who played Wookie extraordinaire Chewbacca, threw out the first pitch as part of the 30th Anniversary celebration of the original Star Wars film. While Wookie jerseys have a certain been there done that feel to them after two years on the field, a timeless go to jersey involves a certain trash can shaped droid. Last year the Durham Bulls, Class Triple-A affiliate of the Tampa Bay Rays, celebrated May the fourth in R2-D2 uniforms. This year The Round Rock Express, Class Triple-A affiliate of Texas Rangers, kicked of Star Wars Night a tad early by rocking the R2-D2 look on the Dell Diamond last Friday. While the Round Rock Express started the celebration early, the Sugar Land Skeeters will wait until August 8 for the force to be with them on Star Wars Night showing that the world of Star Wars cannot be contained to a single day. One does not need to be from a galaxy far, far away to feel the force on May 4th. With the spirit of Star Wars lasting from generation to generation it is likely that the force will still be strong in the Ballpark in August when Star Wars Night rolls around. Another popular go to jersey for a Ballpark Star Wars celebration is the ever popular Darth Vader look. It seems that if a team is going to the trouble of wearing Darth Vader jerseys though they should invite James Earl Jones, the man behind the voice of Vader, to announce the players. Of course with James Earl Jones playing a pivotal role in Field of Dreams it seems even more appropriate to have his booming voice over the Ballpark public address system. 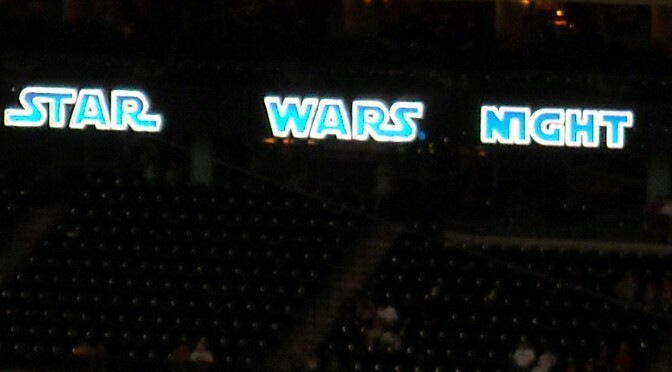 That truly would be a field of dreams to see James Earl Jones announcing a game with players dressed up as Darth Vader. It would be made even more magical if the announcement was made using the Darth Vader voice box. 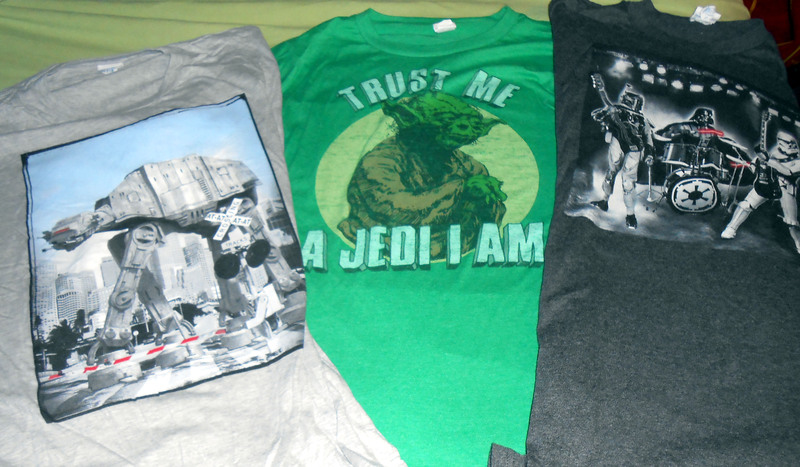 The Sugar Land Skeeters will celebrate their Star Wars Night in August which means I still have some time to decide what to wear. Of course players are not the only ones who get into the May the fourth festivities. 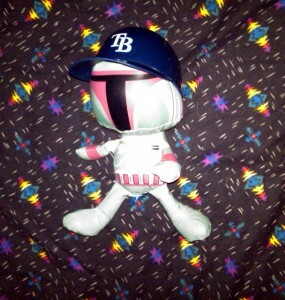 Often times fans dust off their finest galactic duds to head to the Ballpark as part of the celebration. A few years back a complete regiment of Storm Troopers descended upon Minute Maid Park as part of the Houston Astros’ May the Fourth celebration. It is all done in good fun and is kind of cool to see the worlds of film and baseball combine in such an entertaining way. Another staple of many May the Fourth Ballpark celebrations is a post game fireworks show. Baseball, hot dogs, and post game pyrotechnics, it doesn’t get much better than that. Of course if they could manage a Millennium Falcon pregame flyover it would be an epic May the Fourth indeed. With a new batch of Star Wars films slated to come out over the next few years it is almost certain that the link between Jedi knights and balls in flight will continue for years to come. Now if you’ll excuse me, I need to go see if I can still make the Kessel Run in less than twelve parsecs. And May the fourth be with you.